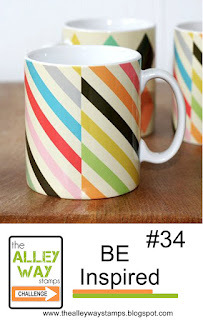 Time for a new Be Inspired challenge at The Alley Way Stamps! I was inspired by the colorful stripes on the coffee mugs and had the PERFECT paper in mind...but, when I selected Mr. Zombie from Bumps in the Night, I just had to switch my patterned paper to this blue/green/yellow combo! The great thing about inspiration...you never know what it will lead you to create! The ColourQ Challenge #200 and Freshly Made Sketches #97 worked great together to feature the adorably ugly zombie! 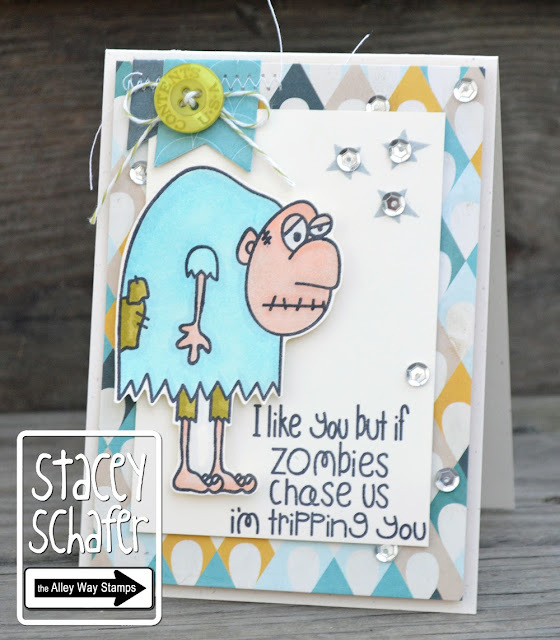 If you didn't get the permission slip yet for the Dare to Get Dirty challenges over at Splitcoaststampers...here you go...a few more days left to play! Here is Mr. Zombie, up close and personal! Just think he's the coolest thing I've seen in a while! 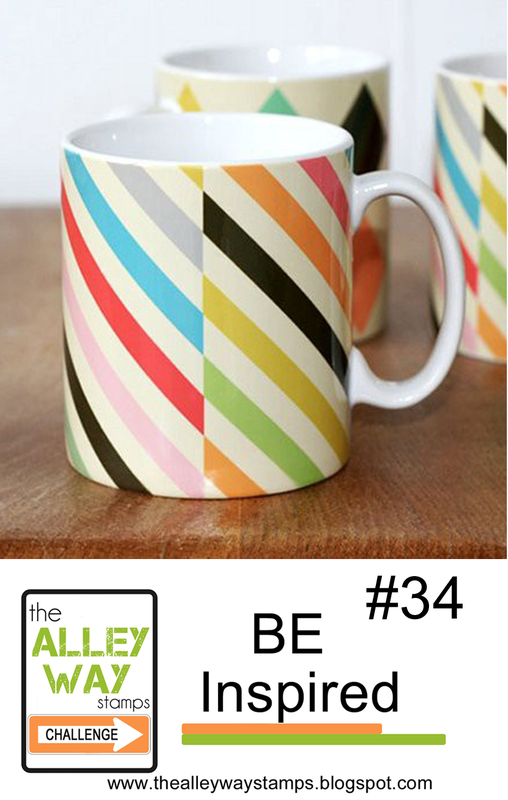 Head on over to The Alley Way Stamps BE Inspired #34...can't wait to see what you whip up! Hee hee!!! This card is soooo funny......and it's AWESOMESAUCE!! That sentiment is a hoot......and then some! 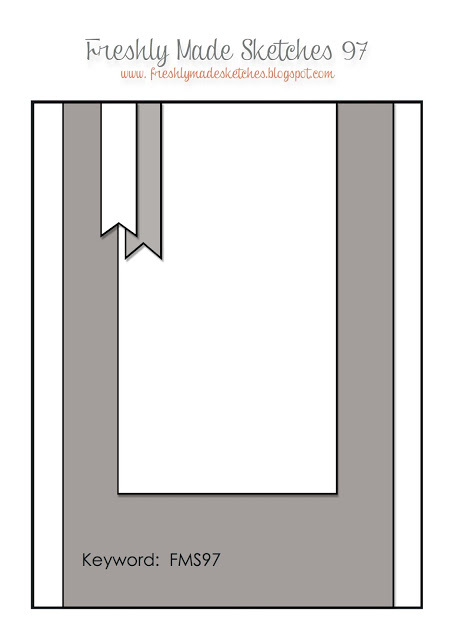 Your card is so cute - love it! Thanks for sharing it at FMS! so in love with this card! I'm big Zombie fan! Oh My gosh!!! I just shot water out of my mouth onto my laptop !!! HAHAHAHAH~~~ Can I send you the bill??!?? Hilarious! Great card. You should link it up at my Just Because Linky Party ~ Theme is Anything Goes! What a fun card! I love everything about it -- the pretty dsp, the beautifully colored image, the sequins, and the hilarious sentiment. Thanks for joining us at Freshly Made Sketches this week! What a fun card! I love that sentiment - too funny! Thanks for joining us this week at Freshly Made Sketches! Oh my gosh! I love this....thanks for the giggle! 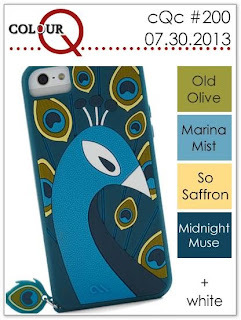 Eek, I love this! That's just the sort of sentiment I might use on my husband. I always love your perfectly placed embellishments, too! LOL, this cracks me up! So funny! Thanks for playing with the CQC colors and sharing this with us!